Whilst in Rajasthan I was lucky enough to visit a Bishnoi village. These are followers of Guru Jambheshwar who was born in Rajasthan in 1451. He enunciated bis nai, ie twenty nine, principles by which life should be led. The principles cover hygiene, social interaction, the avoidance of intoxicants and a reverance for living creatures and trees. Bishnoi people will not kill animals or cut green trees, indeed, on occasion they have given their lives to protect nature. They are vegetarian and traditionally do not wear blue clothes because blue dye was formerly made from large quantities of shrubs. They take care with the dead wood that they use as firewood to ensure it is free of insects. In 1730 Maharajah Abhay Singh of Jodhpur required wood for the construction of his new palace. He sent his men to fell a large number of trees at Khejarli. They were resisted by Amrita Devi, a Bishnoi woman who, along with more than 363 other Bishnois, died trying to save the trees. Some are buried at Khejarli where an annual gathering of Bishnoi commemorate their sacrifice. The tradition still survives, on January 29th this year a young Bishnoi man was killed trying to defend Indian Antelope or Chinkara from poachers. He was shot dead when he grabbed hold of one of the poachers. 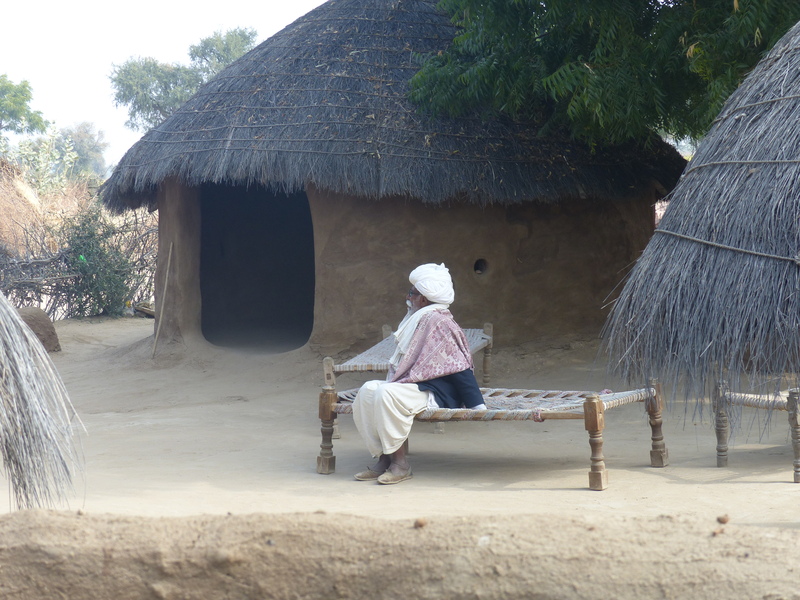 A Bishnoi elder by his house. 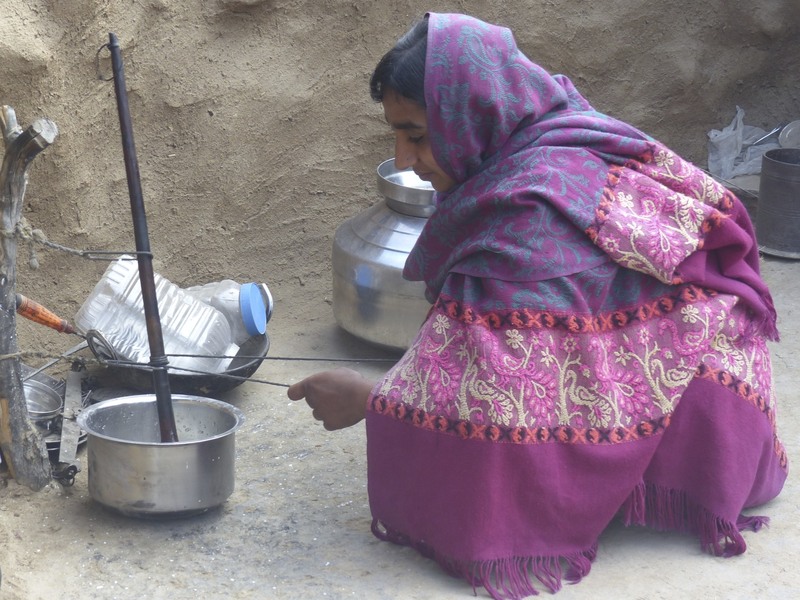 A Bishnoi woman thickening milk.